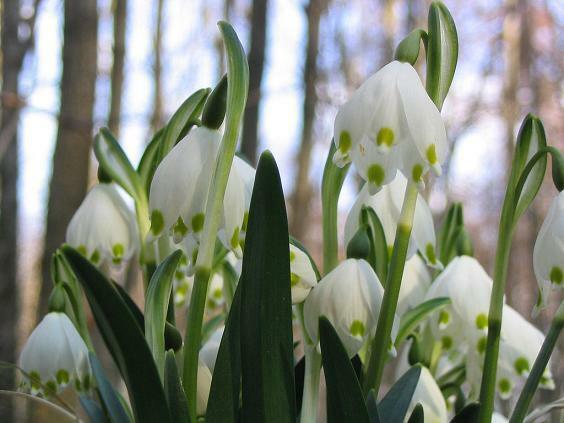 As every year, when the snow begins to disappear, and the sun is increasingly warming the areaof Łopuchówko - in the nature reserve snowstorms-thats the name of the flower -beginning to appear. on the 31st of March children from Kindergarten in Baranowo went to the forest located near the village of Starczanowo, where he had a chance to walk the path of education and see Śnieżycowy Jar. This is the only place in Wielkopolska, where you can marvel such a huge number of snowstorms. White carpets of flowers , enchanted young and vindicated them that spring is here. This unusual plant is undoubtedly one of the first harbingers of spring. After a lesson of nature, children went to look for the Easter rabbit,which traces led them to the wonderful gifts to celebrate Easter.